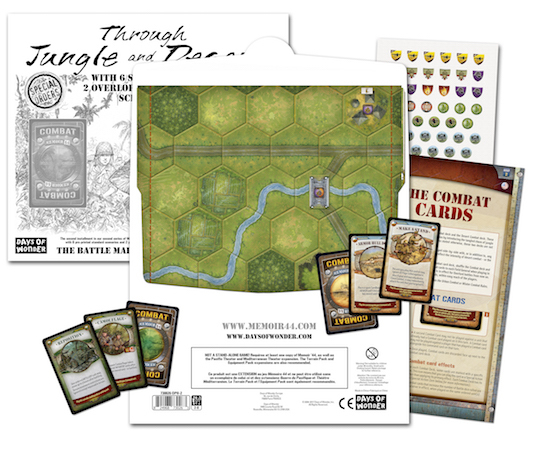 To download the rules, you can visit Through Jungle and Desert page on Memoir ’44 website. 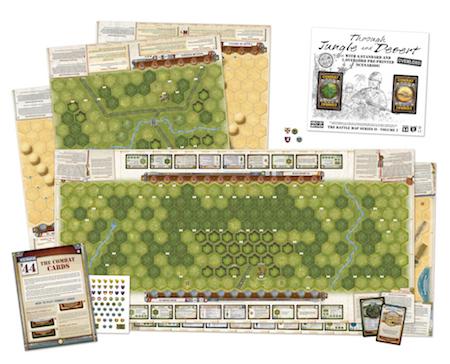 This entry was posted on Monday, January 8th, 2018 at 16:07 and is filed under Games, Memoir'44, News. You can follow any responses to this entry through the RSS 2.0 feed. Both comments and pings are currently closed. I live in UK and am fed up with you releasing what look like really nice Overlord maps but not also releasing Overlord cards in the guise of the Overlord Expansion. You seem to do this a lot in the UK. Send out one product but not send out the other things that go with it. How are we meant to play this properly without the right stuff? This is your first desert Overlord, it will likely be popular. Can I suggest you sell this Overlord scenario but as well as releasing British Army expansion, you also release the Winter/Desert board and the Breakthrough boards and the Winter Wars expansion. 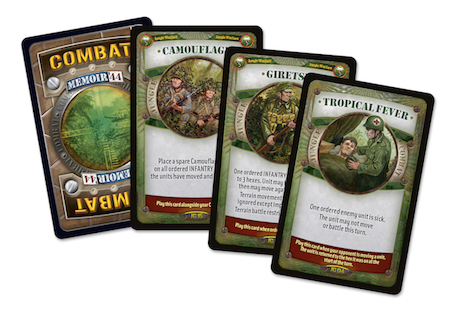 That way people who want British army get to fight ALL their scenarios and have the right cards with the right games.